In last weekend's Catholic Herald (Feb 16) Michael Davis (not to be confused with the late, great, Michael Traherne Davies) makes an extraordinary attack on the older generation of Catholics attached to the Traditional Mass. He does so in the context of an alleged contrast with younger Traditionalists. You can read the first part of his article, or pay to read the whole thing; I include some screenshots to give a flavour. To generalise about Traditional Catholics as 'going out of [their] way to be nasty' or tainted by 'repugnant anti-Semitism' is wearily familiar, and I would not dignify it with a response but for the fact that Davis presents himself as a 'Traditionalist' (as he puts it), and the Catholic Herald is one of the more trad-friendly Catholic newspapers. Furthermore, Davis is the paper's US Editor, on the eve of their big launch in the USA. 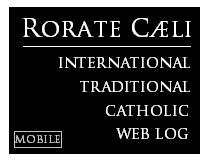 Rorate's Twitter feed put it well: what we see is the phenomenon of the "the self-hating self-righteous not-really-trad Trad." I've discussed other examples of the type here. If challenged Davis would doubtless claim that he is being frightfully clever, on behalf of the Traditional movement, since the thrust of the article is that the stereotype of the nasty trad is becoming out of date. But a moment's thought should have been enough to reveal that saying 'Yes the stereotype is true: but only of the older generation of traddies, and they are all dying off, hoorah!' is not a good PR strategy. The self-righteousness and lack of charity are awe-inspiring, but the take-home message is that the vicious polemic against us for the last forty years has been spot on: even self-confessed Traditional Catholics admit it. But is it true? As I pointed out in my letter to the Editor of the Catholic Editor, which may be published next weekend, the founding leaders of the lay Traditional movement (and it is the laity Davis appears to have in mind), cannot be accused of these traits. Internationally and in Germany, the dominating figure from the 1960s to the 1980s was Eric de Savanthem, who had risked his life for his opposition to Hitler, and whose decency and kindness are admitted by everyone. Intellectual leadership was given by the philosopher Dietrich Von Hildebrand, who was on a Nazi assassination list when he fled Austria, eventually to arrive, penniless, in the USA. Other major figures in the movement include Hugh Ross-Williamson, a founder of the Latin Mass Society and a man of the political Left, and the Scot, Hamish Fraser, a former Communist Party activist who had fought for the Republicans in the Spanish Civil War. Are these the 'older generation' of Traditionalists Davis is talking about? Were they 'gratuitously nasty'? Were they anti-Semites? No one even superficially acquainted with their actions or writings could say so. The same is true of the following generation of leadership, who include the likes of the late Michael Davies and John Rao. Davis refers to Bishop Richard Williamson and Hutton Gibson. He admits that what he is talking about is 'only a minority that gives the rest of us a bad name. But sadly the extremists are always the noisiest.' But they are not a 'minority', they are not even 'extreme' members of our group: these two, the only named targets in the article, are not any part of the Traditional movement which Una Voce organisations, the Traditional Institutes under the PCED, or the SSPX, would recognise. They are, as a result of their own choices, on the outside. No-one would have even heard of Gibson were it not for his famous son. Are Traditionalists to be judged by mainstream leaders, or by such marginalia? Well, do we judge the Novus Ordo world by reference to excommunicated pink-haired feminists who've had themselves ordained? De-frocked child-abusers? Priests excommunicated for breaking the seal of the Confession? Celebrity 'Catholics' who campaign for abortion? Of course not. Why are Traditionalists judged by a different standard? Again, Davis may have met an anti-Semite or an aggressive older person at the Traditional Mass. He may even have met two or three. I could show him, at some of London's famous churches, tramps who sleep in the aisles, mad old ladies who carry statues around or hand out incoherent tracts about private revelations, and the occasional aggressive schizophrenic. Should we be expecting Novus Ordo Catholics to cringe and apologise for these figures? Of course not. But why are Traditionalists judged by a different standard? Davis claims it is the older generation who are the problem. Well, I could introduce him to some very angry and off-putting older Novus Ordo Catholics, if we are in the business of invidious comparisons. People who don't just make themselves unpleasant in church, but make a public spectacle of themselves in print. I've made a particular study of the ones who regard themselves are 'conservatives', so I'm not just talking about the shouty liberals. 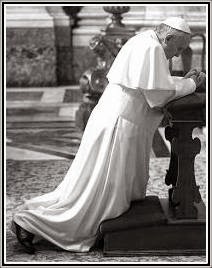 It would never occur to me to say their behaviour is a problem for the Novus Ordo milieu as a whole, or to look forward to their deaths with anticipated satisfaction. Good grief! But why should Traditionalists be judged by a different standard?